We are currently on the Norman Glacier. This morning we left our base camp down the moraine and cached away all the kit we wouldn’t be needing for the next week as we head up onto our glacier work. 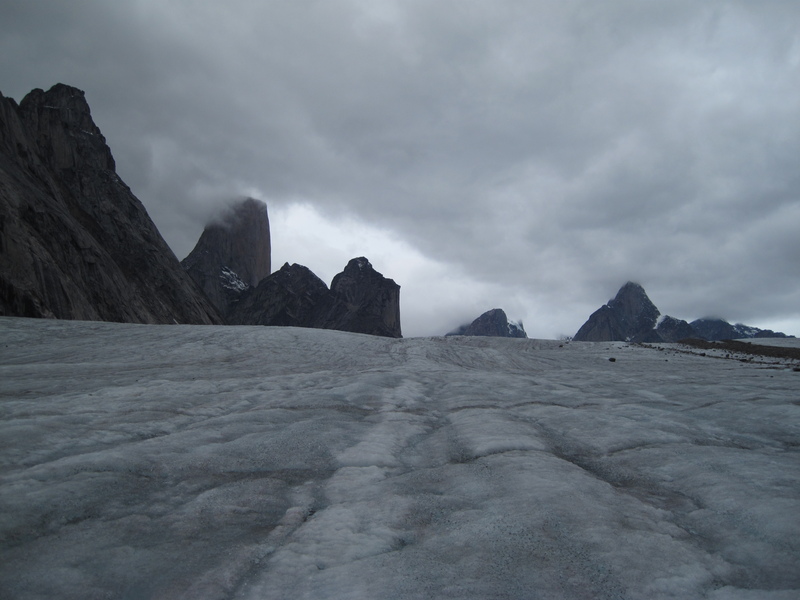 We walked through the moraine, it was quite a different experience from the previous week; it was really hard work. I think we were all quite glad when we could get our packs through them. It was only 3 or 4 kilometres we walked through, but it took a few hours. As we approached the glacier we managed to get all our crampons on and helmets for safety reasons. We went through a few procedures about stopping yourself if you fall down the glacier, how the best way to not fall over is and crevasse rescue in a team. We finally got into the glacier, our first steps were a little shaky. It was a really good day, everyone enjoyed the different scenery. It is absolutely beautiful up here: the massive mountains and the glaciers fall down between them. It looks like rivers, which have got frozen in time. It is like nothing I have ever seen before, it is absolutely stunning. We managed to set up our camp for the night here, which is fairly difficult actually. The glacier is melting in the sun all around us, so we have had to dig out channels with ice axes that then redirect the water around the tents. We’ve got a dry island in the middle of a wet glacier. It was quite challenging when we are cold and tired and we are all getting pretty wet. It is peaceful up here but quite noisy. a rockfall going on every couple of minutes and also glacier collapsing with dramatic bangs and various rumbling noises, which is a little unnerving but quite exciting at the same time. It is great to see all your photos and read about your progress. Sounds like we have having an amazing, although challenging time.